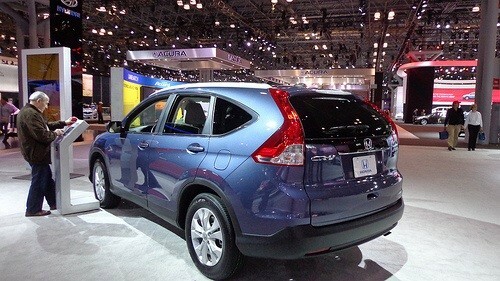 The Honda CR-V regularly ranks among the top rated and best selling compact SUVs in the US. The most recent major redesign of the CR-V (first introduced in the 2012 model year) has helped broaden the car’s appeal with its sportier, more defined looks. 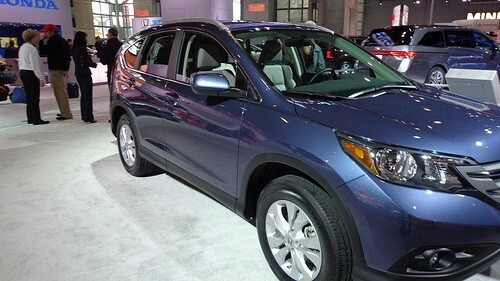 As a single parent of a 10-year-old daughter, I was recently in the market for a compact SUV and selected the 2013 CR-V. While the appeal of the Honda CR-V isn’t confined to a single buyer demographic or category, the Honda CR-V met and exceeded my single parent evaluation criteria and I’m quite pleased with the purchase. While automobile safety is a priority for most drivers, the presence of kids in a car tends to increase the importance of safety features. The CR-V’s Advanced Compatibility Engineering™ (ACE™) body structure is a Honda-exclusive body design that’s built for occupant protection and crash compatibility in frontal collisions. Other safety features include vehicle stability assist, 3-point seat belts at all seating positions, side curtain airbags, to mention just some of the CR-V’s outstanding safety features. Any parent with school aged children knows that transporting kids and their gear is an ongoing requirement. There’s soccer practice, summer camp, play dates with friends, all of which require sufficient space to accommodate sometimes multiple kids and their equipment. The CR-V’s rear seat folds down in multiple configurations for a lot of space and plenty of different ways to use it. Drop-offs at school and social activities followed by pick-ups later on means double travel miles to and from locations. Shuttles to and from summer camps and other warm weather activities is a continuing necessity even when school’s not in session. The CR-V’s efficient yet surprisingly powerful 4-cylinder engine delivers excellent gas mileage. Drivers have the option to select the car’s ECON mode to trade zippiness for efficiency and maximize fuel efficiency even more. Single parents often deal with their own unique sources of stress so it’s nice to have some measure of driving comfort so you can relax when driving back and forth from one thing or another. While the CR-V isn’t considered to be in the luxury status, it’s still a very nice car with numerous options to make driving a comfortable, pleasant experience. Sound system upgrades, available heated seats, moonroof, and Pandora radio from your smart phone are just some of the stand-out features. Last but not least in the event of a night out-on-the-town occasion the newest CR-V more than passes the test in the appearance category. While the CR-V is not a Ferrari (not even close actually) it’s still got enough visual appeal to support social occasions with style. And since the CR-V doesn’t cost an arm and a leg, you can still afford to pay the sitter when you return home. Author: Ron McCoy- Follow him on Google+.